SERIOUS Investing: Why I think Keuro may rise 35% within the next 5 months? Why I think Keuro may rise 35% within the next 5 months? So far, Keuro has already injected around RM550 million into West Coast Expressway. 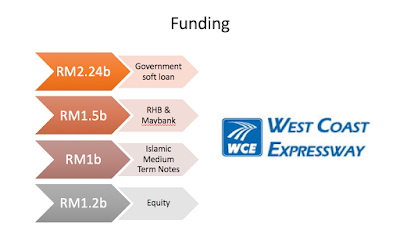 It will need to find another RM400 million of capital to inject into the project to make up to RM960 million (20% or RM240 million will be from IJM's subsidiary, Road Builder which owns 20% of WCE). Some portion of the money will be the from its sale of Talam Transform (RM80 million), the second may be from its warrants. Noticed that its warrant has a short term tenure of 2 years as compared to most warrants issued in Malaysia (typically 5 years). However for people to exercise the warrants, Keuro's share price has to be above RM1.18 as its current price of RM0.90 does not attract anyone to exercise. One might just buy the parent share at around RM0.90. As many would notice, Keuro's shares is quite tightly held. The top 30 holds around 80% of its stocks. The top 3 (IJM, MWE, Tan Sri Pang) holds more than 60%. IJM in fact is still slowly accumulating. (I do not think MWE or Tan Sri Pang will sell as their entry price is above RM1.20 unless they did a wrong analysis of their investments before this.) Besides the Top 3, there are several shareholders whom will not sell as they have been holding for many years - even before the highway was approved. I am just thinking they are holding up and wait for the project to materialise and eventually complete. As mentioned above, for it to raise the additional capital, it may need most of the warrants to be exercised i.e. at RM1.18. For that, shares of Keuro have to be at least priced around RM1.25 for it to be attractive. Why would anybody bother if it is priced at RM1.20. If it is significantly above the exercise price and the warrants are in the money, Keuro may be able to raise RM250 million for it to meet the equity portion. In fact, to have more certainty, it has to be above RM1.30. Exercising when the shares is at RM1.25 - RM1.30 is plain dangerous especially for a tightly held stock as the stock could easily drop to below RM1.18 within days. Maybe the minority shareholders will not take that risk. Any other ways to raise capital? Sure - another rights issue but I do not think this is the best way. Through private placement? It is possible as well, but it will be priced above RM1 as the par value of Keuro is RM1.00. In any case, both rights and private placement has to be made at RM1.00 and above. Typically, for any rights to be attractive, the share has to be traded at significantly above the rights price. Is there a third way to raise funds? - expect it to earn some from its current existing projects - WCE and Rimbayu, but I do not think it will reach the needed sum of RM300 million. If it does and does not need the warrant to be exercised or new issuance of rights, the share would be extremely attractive fundamentally. Imagine, it brings in free cashflow of more than RM250 million over next 3 years. That happens, the share itself is a winner. In any case, I do not think the group will take that chance i.e. dependent on profits. It only owns 40% of Rimbayu and 30% of the WCE construction portion. From all of the above, the best situation for the company is for the warrants to be all exercised, if not all more than 80%. And when is the warrant due to be expired? 26 August 2016 (5.5 months from now). There is no provision for the warrant expiry period to be extended. Of course the major shareholders could do the unthinkable as they would still be exercising the warrants no matter what the parent price is, but wouldn't it be a sign that tells us the stock price at current value is very attractive for them to do this unthinkable? And as minority shareholder, it is a dream come true as major shareholders are buying shares at more expensive price (RM1.18) from what we can purchase at - RM0.90. That's amazing, wouldn't it? IJM and the shareholders have come this far and will the project be jeopardized because of fund raising (of RM250 - RM300 million), I doubt it. 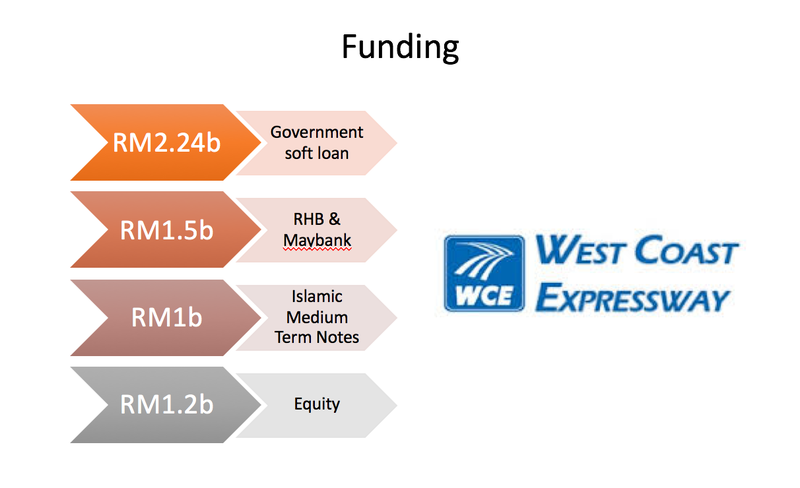 If it supported Scomi by converting its convertibles, IJM will be more than wanting to make sure the WCE project goes well as its portion of the project is more than RM3 billion. Note: You will notice, seldom do I put a specific price point in a stock especially over short term (don't like that), but in this case it is more than just long term fundamentals for the stock but more of its short to medium term needs. This was written in my Facebook before and obviously this is entirely my own opinion and I should not be blamed for any of your trading decisions. There could also be other ways where Keuro can raise funds or the banks may loosen the conditions for their capitalisation which I did not mention here. In one of the sessions (AGM or EGM, I cannot remember) though, there was question asked about its capital needs, I remember Keuro specifically mentioned of their need to increase the capital portion for WCE, and the management does not see any challenges in getting that done. Of course, they did not particularly explain how they were going to do those but the most common way for any to raise funds are as per mentioned above. If indeed a rights issue is required as there is no catalyst for K Euro's share price that can be identified at this juncture, it would be on a ratio of one-for-three. This will raise about RM300mil. Correct. The assumption is that the rights is raised at RM1.00. The price will still be above RM1.10 at the very least for the rights to be attractive. There is no foreseeable catalyst for the ordinary share price to move up to RM1.25. It appears that there are other investors who hold the same view as you. The warrant price is 8.5sen which indicates confidence in the share price moving up. These investors may know of something we do not. Very sound analysis covering all bases. In your earlier postings you mentioned that since the price of raw materials eg steel, bitumen etc has declined the overall construction costs would have moved in tandem. Based on this the IRR would have improved boosting overall valuation. Unless the bankers make the fund raising a condition of loan draw down there might not be an immediate need. This would put the equity fund raising angle to rest. The iliquid warrants are still trading at more than 30% premium with the short expiry looming. Can't figure this one out. What would Tune Air do?